September 7-13 marks National Suicide Prevention Week and it is the week surrounding World Suicide Prevention Day on September 10. You may be wondering what you can do. The easiest and maybe best way to be involved is to learn the warning signs of suicide. Many times we see things and say nothing; we’re afraid that maybe we’re wrong and we don’t want someone to feel like we’re intruding. But consider this – what if saying something and intruding a little is the literal difference between life and death? We’d certainly say something if we knew this was the consequence. The important thing is that you do not stay silent. If you are worried that a friend or family member may be considering suicide, the best thing you can do is talk about it. Maybe YOU are the one having these feelings. Do not ignore these feelings and do not be ashamed to have them. There are people and resources that can help you. If you don’t know what to say or do, call a trained professional who can help you figure it out. 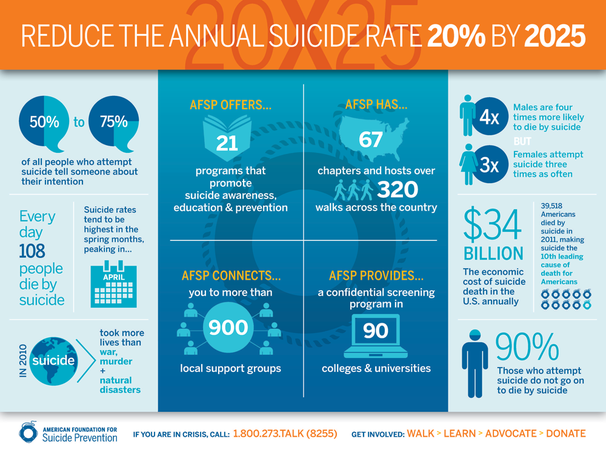 You can call the Suicide Prevention Lifeline at 800-273-8255. If you don’t feel comfortable talking on the phone, you can chat online with a professional at www.suicidepreventionlifeline.org. Both of these services are available 24 hours a day, seven days a week. 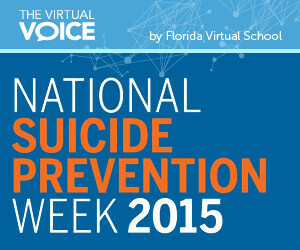 This entry was posted in Educator Edition, Homeschool Edition, Student Edition and tagged Advocate, Awareness, Counseling, FLVS Counselors, Health, National Suicide Prevention Week, Suicide Prevention on September 8, 2015 by Guest Blogger.